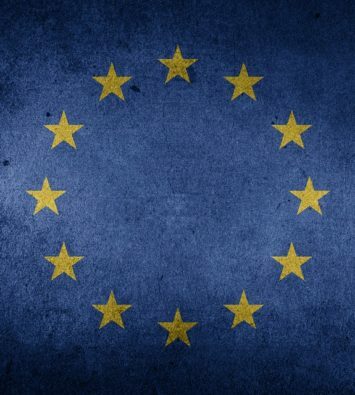 HomeNon classéThe new Franco-German Treaty: Should the rest of the EU be Concerned? Europe – The new Franco-German treaty “of cooperation and integration” signed on January 22 in Aachen, the former capital of Charlemagne’s Frankish empire from which both nations trace their origins, does not represent a breakthrough in their relations. It does, however, build on the Élysée Treaty, which was signed on January 22, 1963 to mark a new era of friendship between the former hereditary foes. 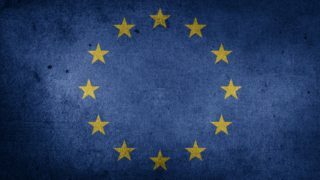 Although the new Treaty of Aachen is primarily about bilateral cooperation, some of its clauses should draw the attention of other EU countries, and in particular Poland and Hungary, whose current governments are pushing for more equal treatment of EU members and better respect for their national sovereignty. In some respects, the Treaty of Aachen is a new step in the direction of French-German integrated leadership in a two-speed European Union. With the withdrawal of the United Kingdom from the EU, France and Germany are bound to have more weight in Brussels, in particular if they coordinate their actions. Article 2 of the new French-German treaty is about just this: it states that both countries should consult each other at all levels before all important European meetings, and that they should endeavour to work out common positions and coordinate the speeches of their ministers in the Council. The goals that both countries will pursue in the Council are set out in Article 1: a common foreign and security policy, a deeper monetary and economic Union, and more fiscal and social convergence. Article 8 is about their cooperation at UN level, where they commit to working out common EU positions together. Articles 18 and 19 are about the joint promotion of policies to prevent climate change, and make particular mention of the Paris Agreement and the goal for energy transition. These clauses will have implications for Poland, whose energy supply is still mainly based on coal. They do not represent a change in the positions hitherto adopted by France and Germany, but they enshrine those positions in a treaty signed by the EU’s two largest players. For some observers outside France and Germany, the new treaty signed by President Emmanuel Macron and Chancellor Angela Merkel is largely empty and is above all symbolic. But others fear that it will deepen the current divisions in the EU, leading to a confrontation between a Franco-German axis and an opposing axis formed by Italy and the Visegrád Group. The fact that the two largest EU countries are committed to act as one in Brussels may very well entice other countries either to join the Franco-German bloc or to form an opposing bloc in order to have sufficient weight to defend their own positions. It is a general rule that a federation or confederation of nations will not hold for long if one of its members is too powerful compared with the others, as it will soon start to exert the rights of the union itself and to dominate other countries in the union’s name. This new Franco-German treaty, drawn up without consulting other EU members, could thus further weaken an already divided Union. The new treaty has also drawn some criticism in both France and Germany. On the German side, as is the case with all efforts towards greater European integration, this Franco-German “cooperation and integration” treaty arouses fears that Germany will eventually have to finance another country’s chronic public deficits. This fear has been expressed, among others, by the leader of the right-wing party Alternative for Germany (AfD), Alexander Gauland, who said: “We as populists insist that one first takes care of one’s own country. But we don’t want Macron to renovate his country with German money.” And, as Die Welt noted while underlining the fact that this new treaty falls short of Macron’s federalist ambitions for Europe, France’s response to the Yellow Vests’ protests – resorting to more debt – shows how well-founded are the German fears. On the French side, it has been said by National Rally leader Marine Le Pen, and also by Nicolas Dupont-Aignan of Debout la France (France Arise), that the treaty signed in Aachen would mean France sharing its UN Security Council seat with Germany and relinquishing part of its sovereignty over the formerly disputed border regions of Alsace and Lorraine. This results from the fact that both countries undertake to coordinate their positions at the Security Council – of which France is a permanent member – and also to develop trans-border bilingualism and cooperation under the supervision of regional Franco-German bodies. Although no specific region is mentioned in the treaty, from a French perspective this seems to be aimed mainly at Alsace and Lorraine. Some also question the constitutionality of the concept of a “sovereign” European Union enshrined in the new treaty. Moreover, Emmanuel Macron and his LREM party are criticised for trying to push their federalist project forward through Franco-German “cooperation and integration” without public debate, and in spite of the fact that European federalism is opposed by a majority of French people and was formally rejected by voters in the 2005 referendum on the European “constitution”. The fears and criticism expressed in Germany and France show that those who see in this new bilateral treaty an effort by both countries to jointly dominate the European Union may be right. 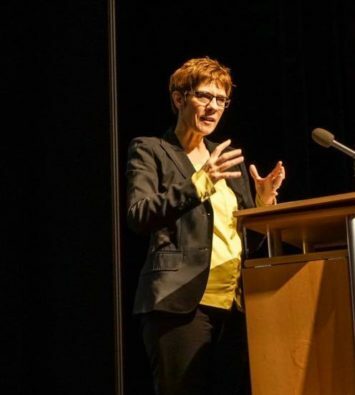 The project for a new treaty was announced in a declaration signed by the French President and the German Chancellor in Meseberg in June 2018. In that declaration both leaders also mentioned the need for a EU Security Council and for majority voting in Brussels in a growing number of fields, including the Common Foreign and Security Policy. 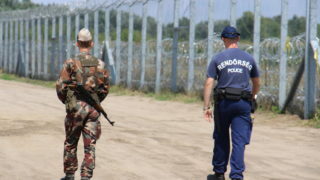 The Meseberg declaration also mentioned the need for a common European asylum policy, with a European asylum office responsible for asylum procedures at external borders, and a broader mandate for the European Border and Coast Guard Agency (Frontex), which is intended to become a true European border force in charge of policing external borders. Apart from that, in their June 2018 declaration Macron and Merkel committed themselves to promoting the idea of harmonising taxes on company benefits at European level. They also affirmed their will to deepen the monetary union and to pursue a banking union and the creation of a budget for the eurozone. 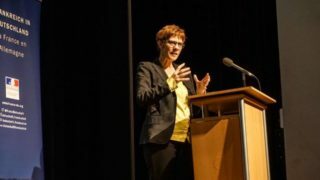 They promised to act towards the creation of a smaller European Commission, with fewer Commissioners than there are member states, and the introduction of transnational lists starting from the 2024 European elections. 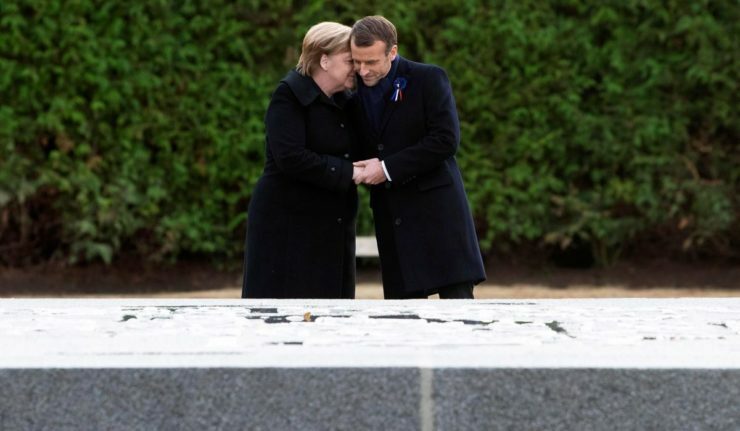 Although those specific goals are not included in the Franco-German treaty signed in Aachen on January 22, France and Germany should now be expected to act together in accordance with that treaty and to pursue those aims which were set out earlier in Brussels. 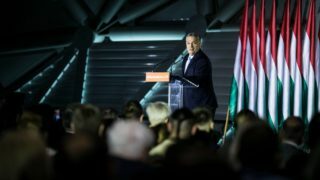 On the subject of border control, Hungarian PM Viktor Orbán expressed his strong opposition in September 2018: “Angela Merkel has said that the plan is that part of the border control should be handed over from frontier states to Brussels, which means that they want to take away from us the keys to the gate.” As long as Salvini’s League is a member of a governing coalition in Rome, Italy can be expected to take a similar line, as can other V4 members. 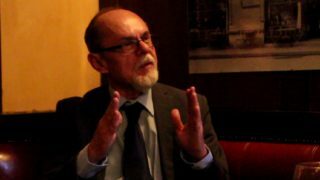 Confronted with an unequal and ideological approach to budget discipline on the part of the European Commission (who rejected Italy’s planned public deficit for 2019 at 2.4% of GDP, but accepted in December an increase in France’s planned public deficit from 2.8% to 3.2%, explaining that President Macron has to be helped because “he remains a strong supporter of the Union”), an infuriated Italy can also be expected to lack enthusiasm for an ever tighter monetary union, which would mean giving up even more control to Brussels. 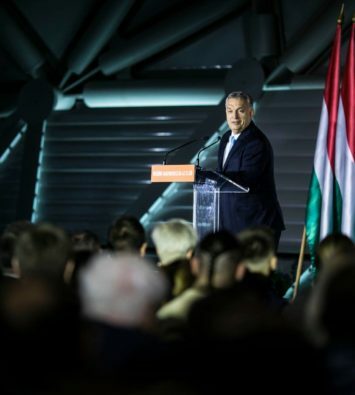 Seen from Poland and Hungary, this idea of a closer union between eurozone countries would lead to the creation of a two-speed Europe, with a core union from which they would be excluded. 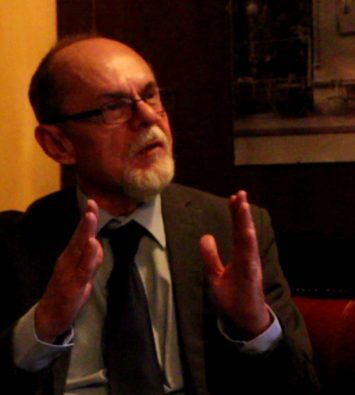 Italian right-wing politicians and some of the Italian press described the new Franco-German treaty as being directed against Italy and also against “populists”; similar remarks were made by German and French mainstream media, for whom the leaders of Fidesz and PiS also fall into that category. The alliance between Macron and Merkel is thus presented as a response to the moves made by Italy’s interior minister Matteo Salvini, the leader of the right-wing League, to tighten relations with Viktor Orbán and more recently with Jarosław Kaczyński. Such a confrontational interpretation of the new Franco-German treaty was also reflected in major Polish and Hungarian liberal media. This new treaty of “cooperation and integration” signed by Emmanuel Macron and Angela Merkel still needs to be ratified by the two countries’ parliaments, which should not be too difficult to achieve given their current composition. In Aachen the European Council’s president Donald Tusk warned that deeper cooperation between particular EU countries should not be an alternative to the EU as a whole, but he also referred to the recently murdered mayor of Gdańsk as a pro-European who favoured the quotas of asylum seekers that are opposed by all V4 governments. Tusk said that there are many people east of Germany who are eager to live in a united Europe, and his words can be understood as a call for the Franco-German alliance in Brussels to be directed against the vision of Europe supported by the likes of Viktor Orbán and Jarosław Kaczyński. Much will depend on whether common Franco-German action at European level becomes a general rule in accordance with the treaty signed in Aachen, and on whether it follows President Macron’s confrontational attitude or the more pragmatic approach of Chancellor Merkel, whose country has a greater volume of trade with the Visegrád Four than it does with France.